It was announced today that Linda Cardellini, Matt Dillon, Kyle MacLachlan, and Kathrine Narducci will join Tom Hardy in the Al Capone biopic, Fonzo, which was written and will be directed by Josh Trank (Fantastic Four). Hardy recently announced that the Al Capone biopic is the next project that he will be working on and production has been confirmed to start on April 2nd in New Orleans. Fonzo will tell the story of the legendary gangster in his later life behind bars. Tom Hardy has been attached to play the character since 2012 for Cicero, but that movie didn't end up getting the green light. Linda Cardellini will play Al Capone's long-suffering wife Mae while Matt Dillon will play his closest friend Johnny. Kyle MacLachlan plays Karlock, his doctor, and Kathrine Narducci portrays Rosie, who is one of Capone's sisters. Tom Hardy announced his involvement with the movie through social media late last week, which suddenly put a lot of excitement behind the project after many were skeptical with the involvement Josh Trank. A ruthless businessman and bootlegger who ruled Chicago with an iron fist, Al Fonzo Capone was the most infamous and feared gangster in American history. Capone was sentenced to prison at the age of 33 for tax evasion of all things. When the gangster arrived to prison, he was diagnosed with syphilis and gonorrhea, which began to rot his mind. The official synopsis for the movie reads. "At the age of 47, following nearly a decade of imprisonment, dementia rots Capone's mind and his past becomes present as harrowing memories of his violent and brutal origins melt into his waking life." Linda Cardellini recently starred in the critically acclaimed hit Netflix series Bloodline and was seen in Avengers: Age Of Ultron. Matt Dillon was nominated for an Academy Award for his role in Crash and will next be seen starring in Lars Von Trier's The House That Jack Built. He also starred in the Fox hit sci-fi series Wayward Pines. Kyle MacLachlan is best known for his role as Agent Cooper in Twin Peaks, which garnered him a Golden Globe Award and Emmy nomination in its original run. He has also shown up in Blue Velvet and David Lynch's Dune. Kathrine Narducci is well known for The Sopranos and Jersey Boys. he will next be seen in Martin Scorsese's upcoming The Irishman. As previously noted, Fonzo begins filming next month, but there is no official release date set at this time. However, a late 2019 release date seems logical, depending on the schedules of the actors. Tom Hardy may have to take a break to do reshoots for Sony's Venom movie if Fonzo isn't already finished by that time. 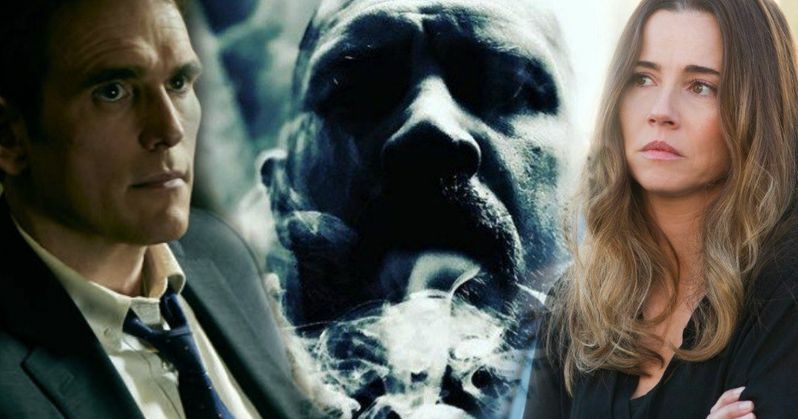 If the project didn't have enough hype with Tom Hardy on board, it certainly does now with its new additions to the cast. This report originated from Bron Studios.